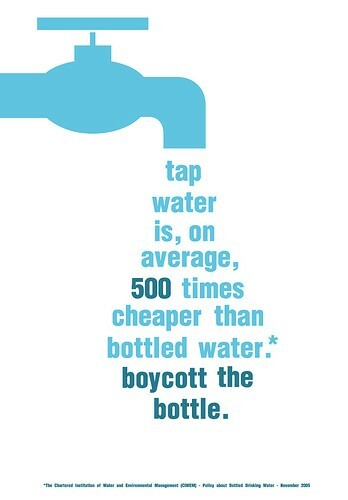 The single use water bottle has become a ubiquitous sight in cities around – and the environmental cost of them is staggering (see the links below for facts). 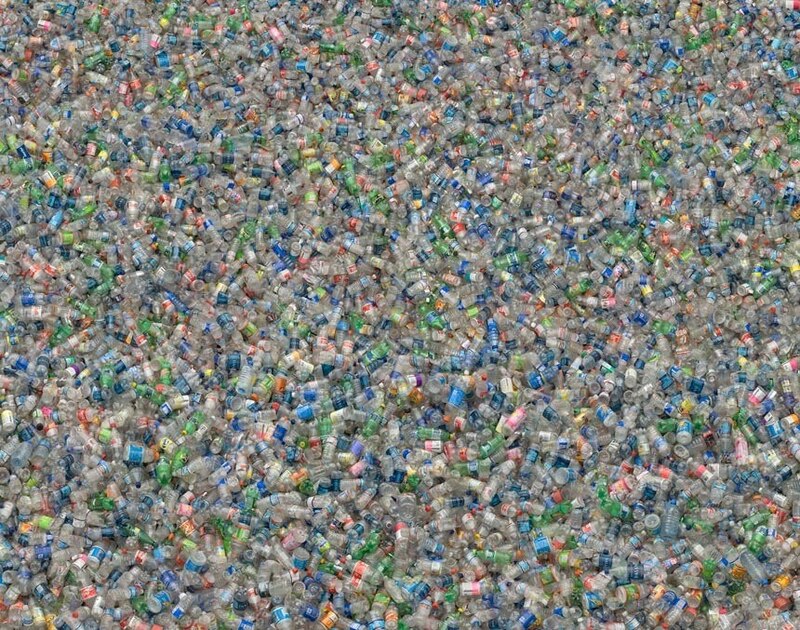 This photo is found by way of Brooklynskeptic– a detail of the two million bottles of water used every 5 minutes in the USA. I have been using a multi- use water bottle for some time now, it was a stainless steel one from Smiggle, (they no longer stock them). Unfortunately it has developed a bit of a leaky lid, so I was thinking of keeping that one for home use (can’t just throw it away) and puchasing a new one for my out-and-about-town use. Related to that leaky lid was the fact that one day I forgot to put the lid on properly, and I managed to drown my phone & ipod on that very expensive morning. So now I’m looking around for a new reusable drink bottle, as it’s so important to keep hydrated. 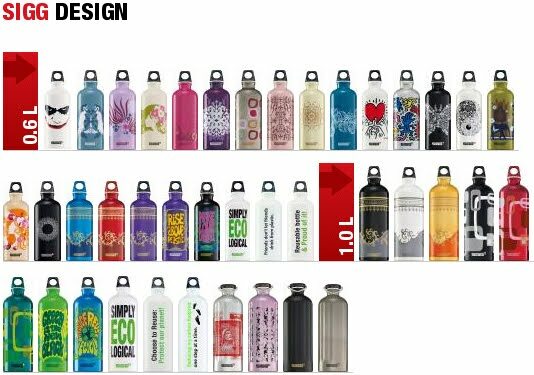 Here are a few designs for reusable drinking bottles. Now the first is plastic, which generally I shy away from, but this is such a lovely design, from Kor One. Available in Australia from here. I like the fact that the lid cannot be separated from the bottle, and it’s a generous size. It apparently does not contain the chemical BPA, which has been linked to cancer, amongst other nasties- read here or here for more detailed info. Then there’s a whole gorgeous range from Sigg, a Swiss company and they are available here. 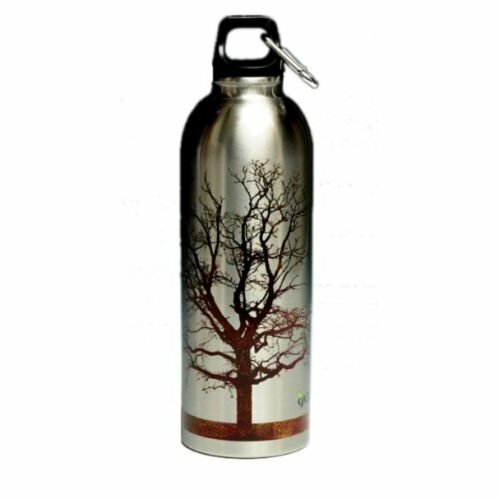 Earthlust bottle available from Amazon. 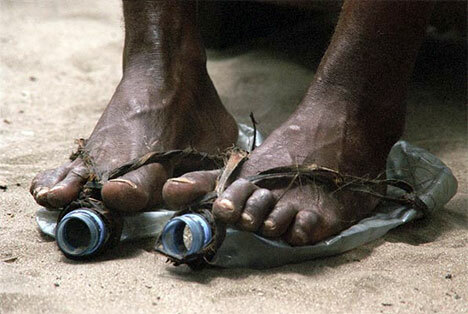 And above is some creative reuse of the water bottle. What are your thoughts? Is buying single use water bottles akin to smoking? Do you have a favourite water bottle that I may not have mentioned?